My current research and writing project, tentatively Ordeal of Freedom: Slavery and American Law, 1789-1860, uses the case files of African American petitioners for freedom in the District of Columbia courts and Prince George’s County, Maryland, for the period 1790 to 1860, and chronicles the successes of emancipation in the upper Chesapeake and how these families mounted one of the most sustained and successful challenges to enslavement in American history. “Interchange: The Promise of Digital History,” in The Journal of American History, September 2008. “Black and On the Border,” co-author with Edward L. Ayers and Anne S. Rubin, in Slavery, Resistance, Freedom ed. Gabor Boritt and Scott Hancock, Oxford University Press, 2007. 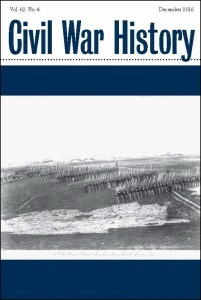 “Nothing Ought to Astonish Us: Confederate Civilians in the 1864 Shenandoah Valley Campaign” in The Shenandoah Valley Campaign of 1864, ed. Gary Gallagher, University of North Carolina Press, 2006. “Computing and the Historical Imagination,” in A Companion to Digital Humanities, ed. Susan Schreibman, Ray Siemens, and John Unsworth, Oxford: Blackwell, 2004. “The Differences Slavery Made: A Close Analysis of Two American Communities,” co-author with Edward L. Ayers, in The American Historical Review. 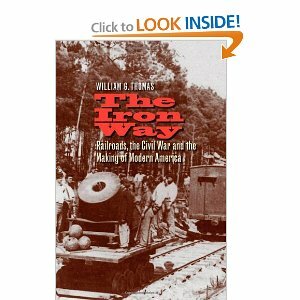 Lawyering for the Railroad: Business, Law and Power in the New South, Louisiana State University Press, 1999. The Civil War on the Web: A Guide to the Very Best Sites, co-author with Alice Carter and Richard Jensen, Rowman & Littlefield, 2000. When Enslaved People Sued Georgetown’s Founders for Freedom,” The Washington Post, August 19, 2016. My Home, The House of the Dead, The New York Times, September 7, 2013. History Harvests: What Happens When Students Collect and Digitize the People’s History, Perspectives on History, with Patrick D. Jones and Andrew Witmer, January 2013. Page 99 Test for The Iron Way, The Page 99 Test, October 27, 2011. “How Do We Remember Our Confederate History?” Roanoke Times, April 17, 2010. “William Jennings Bryan, The Railroads, and the Politics of ‘Workingmen,'” Nebraska Law Review, Vol. 86, 2007. “What is Digital History? A Look at Some Exemplar Projects,” with Douglas Seefeldt, AHA Perspectives, May 2009. “Writing a Digital History Journal Article from Scratch: An Account,” Digital History, 2008. “Shaping Nebraska: An Analysis of Railroad Land Sales, 1870-1880” with Kurt Kinbacher, Great Plains Quarterly, Vol. 28, 2008. “The Countryside Transformed: The Eastern Shore of Virginia, the Pennsylvania Railroads, the Creation of a Modern Landscape,” with Brooks M. Barnes and Tom Szuba, Southern Spaces, 2007. “Television News of the Civil Rights Struggle: The Views in Virginia and Mississippi,” Southern Spaces, 2004.